*Update: at the end of Day 2 we have raised £1770 that will all be matched by our generous Champion funders. We are nearly at our target. However, the more we raise, the more dogs and painted wolves we can help. Please keep donating and sharing our social media. Thank you. If you have managed to catch some of David Attenborough’s latest epic series DYNASTIES on BBC ONE, look out for one of its upcoming stars the African painted wolf, also known as the African painted dog. The painted wolf is one of Africa’s greatest hunters, but also one of its most endangered species thanks to poaching, loss of habitat and the spread of disease. Their extraordinary lifestyle and family structure, makes them perfect TV viewing and a biologist’s dream, but with only 7000 left in the wild, they are in real danger of extinction. Today small numbers can still be found in Zimbabwe, Tanzania, Botswana and South Africa, but the clock is ticking. As their territories shrink and they find themselves in closer contact with humans and their domestic dogs, infectious diseases such as rabies and distemper become a real threat to the already vulnerable painted wolf population. As part of the Big Give Christmas Challenge 2018 Wildlife Vets International is raising funds to provide veterinary expertise and support conservation projects that are helping protect and save painted wolves, through vital vaccination programmes that help protect them from these deadly infectious diseases. 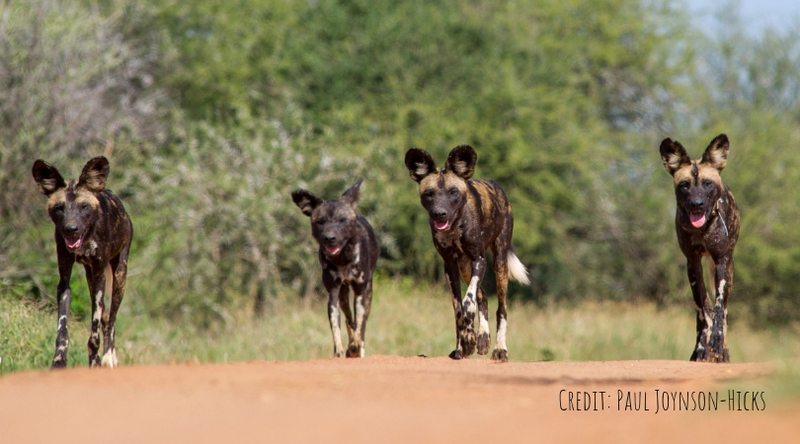 The threat of rabies, to both domestic dogs and the wild painted wolf population is a constant concern and potentially devastating for both. With numbers of painted wolves so low, just one outbreak can cause catastrophic consequences for this highly vulnerable species. By donating during the BIG GIVE Christmas Challenge, which runs from Tuesday November 27th midday until midday December 4th, your donations will be DOUBLED and will help fund this vital vaccination and neutering programme and help protect the vulnerable painted wolf AND the amazing local communities that call this part of Northern Zimbabwe home. Hand to mouth existence is the norm in the community lands that border Hwange National Park, in Zimbabwe where are funds are helping protect the remaining painted wolf population. Each family unit in this area will have some livestock and a guard dog. The health of those animals is key to the people in this area’s survival. If a guard dog gets rabies, this means not only the death of the dog, but also puts the local community in great danger of being bitten and suffering an agonising death. Although rabies is easy to control through vaccination, it is impossible to treat in these situations once bitten. To prevent an outbreak in the dog population, which in turn protects not only the people of this area, but also the vulnerable painted wolf packs that live close by, WVI supports a vaccination initiative run by Painted Dog Conservation, in conjunction with the local state veterinary team. The health of the people and their domestic animals is key to the conservation of wild carnivores such as the African painted wolf. Furthermore, by giving the community a service that they need, in the name of conservation, it changes their attitude to living alongside wildlife. A win win situation all round. Vet, author and animal welfare enthusiast Emma Milne is supporting the campaign: “I have been in awe of the natural world my whole life and am constantly dismayed by our alarming disregard for it. As a vet and lover of all things wild I’m delighted to be involved with Wildlife Vets International.They are a charity that cares as deeply as I do about conservation and the protection of the animals on this beautiful planet. Projects like the painted dogs one will have a massive impact on the health and welfare of the animals involved but the added bonus, especially when it comes to transmissible diseases such as rabies, is that it helps the local people too. Please support them in any way you can." Thank you to the Gibbings Family Charitable Trust and The Reed Foundation for providing us with the funding to match online donations. ‍Wildscreen Exchange and in particular photographers Luke Massey, Manoj Shah and Martin Harvey. Please like, comment, share and retweet our posts on Facebook, Twitter and Instagram.